Can do simple activities anymore? Jul 21 Comments Off on Can do simple activities anymore? Whether or not we’re carrying the weight of the world on our shoulders, shoulder pain gets us down in several ways. Primarily, pain is twinge and never fun. It frustrates us and get in the way with everything we do. We use our arms for almost every activity and most movements, so if it happens to the arms, it happens to the shoulders, too! Secondly, when shoulders are unsteady, fragile and painful, they draw our posture out of alignment and this creates a cascade of other effects, such as weakened abdominal muscles, unhappy back muscles and a literal pain in the neck. Severe shoulder arthritis and chronic shoulder pain can formulate the daily-life activities we perform such as, combing hair, reaching for a lamp or putting on clothes gets enormously difficult. If you can’t do the simple things you once did, you may be suffering from a shoulder condition. “Chronic shoulder pain is a common complaint in the pain medicine physician’s office,” says Dr. Zaki. Successful treatment relies upon an precise diagnosis of the more common etiologies: rotator cuff disorders, adhesive capsulitis, acromioclavicular osteoarthritis, glenohumeral osteoarthritis, and instability. 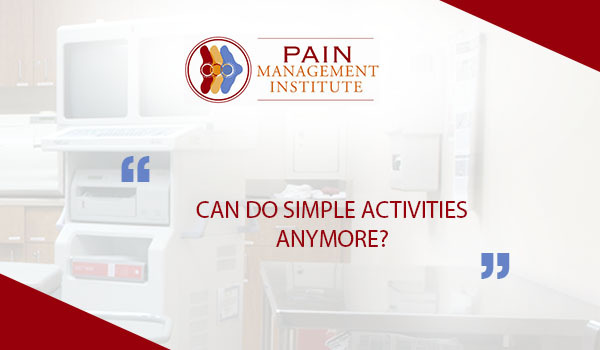 At Pain Management Institute, Dr Zaki Anwar is very experienced in interventional treatments. Dr. Zaki Anwar is a world renowned Pain Medicine Physician. He has been practicing ways to cure pain leading to serious problems for the past several years and has achieved remarkable results. Get his expert opinion by just making a phone call at 815-464-7212. It gets better with reduced activity, especially overhead movements, posture adjustments, and changing movements to help the healing, as well as ice, heat and OTC anti-inflammatory drugs. Physical therapy is effective and so is massaging. Recovery involves strengthening rotator cuff muscles and scapular muscles to reduce dislocations. Taping is another treatment that is recommended. Treatment is done using ice, rest and anti-inflammatory drugs. Treatment includes massage and myofascial release. The tissue experiencing sticky inflammation needs to be gently coaxed apart. Particular exercises, such as shoulder rolls, scapula rolls and arm stretch are especially therapeutic for this condition. Acupuncture and electrical micro-current stimulation are also helpful. And, once the shoulder has recovered, keep it warm, supple, strong and stretched with regular movement and exercise. Physical therapy is the greatest treatment for this condition, as strengthening the muscles and balancing all the muscles and tissues that affect the position of the shoulder effectively can relieve the impingement. Myofascial release and massage help relax the muscles involved so that they can loosen their grip on the bones and everything can relax back into place giving you quick shoulder pain relief. Exercise is helpful with this condition; pendulum, arm stretch. This condition gets better with reduced activity, RICE (rest, ice, compression, elevation), and massage and myofascial release of neighboring muscles. Gently, but rapidly vibrating the arm helps to bring relief, and massaging the arms. Arthritis requires movement, but it must be measured and appropriate, so a physical therapist guides you about using the appropriate exercises that involves stretching, strengthening and supporting the joint. Treatment can also include heat and ice, anti-inflammatory medications and often steroid injections. Physical therapy, myofascial release, acupuncture, exercise, and electrical simulation are helpful in relieving the variety of symptoms caused by TOS.